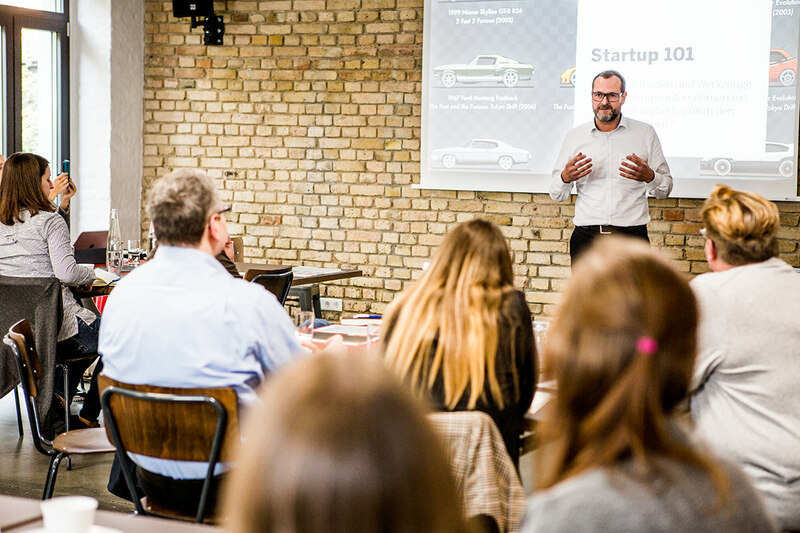 How companies can learn from start-ups and agile methods and create the right environment to remain competitive in a digital world - this was illustrated in a workshop held by the BVIK (Federal Association of Industry Communication) and die firma. experience design in Wiesbaden. “We’re still writing emails and young people are sending each other audio files instead - how did it come to this?” Tongue in cheek and yet serious, Daniel Backhaus showed in his keynote speech how much digitisation is shaping today’s society. First the digital communications specialist looked to the past and answered the question of how the digital revolution was able change our world from the first email (1971) to modems (1980), emoticons (1982), the launches of Google (1998) and Wikipedia (2001) to the first iPhone (2007). Then he looked to the future: “The future of communication is messaging”. This is not a thesis, but rather a fact that he backed up with figures: while 30- to 49-year-olds still mainly use emails (54%) and telephones (45%) for communication, the preferences of 14- to 29 year-olds are clearly in favour of messenger services at 72%. Empathy is a future-proof technology. This preference applies not only to the private sector, but also to younger target groups, who expect the appropriate channels in their own professional lives and in their communication with manufacturers, suppliers and brands, which means companies must react to these changes in customer behaviour. Because when people have less and less time and expect their needs to be satisfied immediately, and customers want to place orders and utilise services when they are on the go regardless of time and place, the possibilities of textual-asynchronous contact must be exhausted. “The communicative infrastructure is changing, and this necessitates a radical rethinking of customer communication. The point of sale becomes the point of touch becomes the point of talk. Markets are conversations, and dialogues are the new marketing”, he concluded. In his “Future Work” lecture, Robert Mangelmann showed that not only customers, but also employees must and will increasingly become the focus of the company’s interest. Since information is not only more readily available, but can also be networked better and better in the information and knowledge age, digital transformation is indispensable in companies. Those who are running companies and the companies’ employees are forced to adapt to new circumstances: We are no longer dealing with a Tayloristic assembly line, no longer dealing with linear systems, but instead with highly complex mechanisms of action between all participants. Digital services are evolving rapidly and are geared to changing customer needs. “This is why it no longer makes sense to formulate functional and technical specifications that are outdated within a few months”, says Mangelmann. Too much time that passes in traditional companies, time in which young, modern and agile start-ups pass by conservative and established companies, stealing the show, and often the customers as well. But is it enough to rely on agile working methods to speed up existing processes? “Absolutely not”, Mangelmann stressed. He sees the digital obstacle for many established companies in the fact that they retain their classic project methods and merely combine them with agile methods. “This is an approach that can’t work, because agile working means changing the company’s mindset, and switching to an agile mindset doesn’t happen at the touch of a button.” In established companies, the intention to make a profit is paramount. A corresponding business model is defined and the organisation is mapped out in functions and hierarchies. This structure, however, means that the loyalty of employees to their company is often not very strongly developed: On average, two thirds of all employees have a low level of loyalty to their company, and between 15% and 25% have no loyalty at all. Start-ups do things in a diametrically opposed manner: They are not structure-driven and do not start with profits. Instead, they want to solve a concrete problem. “Profit is the result, the outcome”, stressed Mangelmann, and advised adopting this attitude in start-ups in order to remain viable for the future. “At the end of the day, the culture is what will decide whether a company is running and whether skilled workers want to work there”, predicted Mangelmann, and then substantiated his hypothesis with facts: Whereas ten years ago 92% of employees considered a fixed reliable income and job security (88%) to be the most important criteria for “a good job”, today generation Y expects a good working atmosphere and cooperation in a team (90%), a personally meaningful and fulfilling job (87%) and the possibility to learn things on their own and to be able to further educate themselves (75%). Caption: Participants working out the “Jobs to be Done” task. Experience has shown that it is precisely this openness to results that is most difficult to implement for traditional companies. This was one reason why the “design sprints” method developed by Google was not only presented in theory during the event, but the participants themselves were also given the opportunity to test it during the practical session. The design sprint is a five-day process to try out ideas. A dedicated team discusses a challenge, designs solutions and tests them with real users. The sprint starts with a vague idea and ends after only five days with a prototype and valid feedback from the target group. 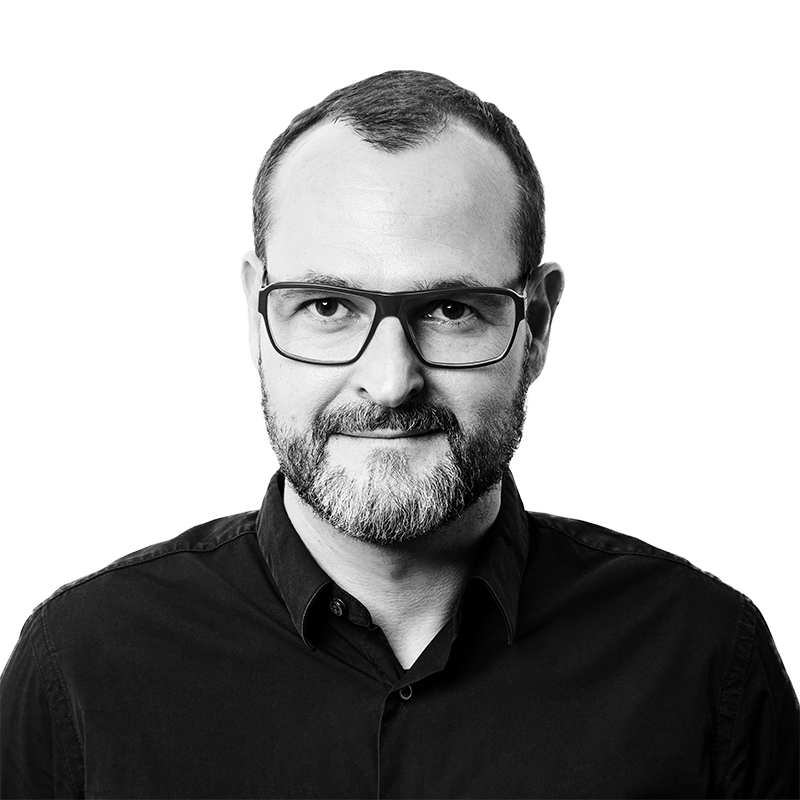 “This is a method that is always suitable when time is short, when a lot is at stake, when you are stuck and a project is not progressing”, explained Matthias Feit, Senior UX Strategy Consultant at die firma. But you don’t need much for a design sprint: five to seven people with different skills and knowledge, preferably from different departments such as marketing, sales, engineering, design, IT, including a decision-maker, colourful notes, whiteboards and a suitably spacious room. On day one, everyone in the team is brought up to the same level of information, a clearly defined task is specified and problems are reformulated into opportunities using the formula “How could we ...”. Since group brainstorming has many drawbacks, on day two all participants of the design sprint are asked to develop and outline several approaches to solutions. On the third day, the approaches that promise the best solutions are selected in the form of a silent scoring system and without group discussion, but constructive criticism is welcome: “I particularly liked the fact that ...”. The result of the vote serves as a template for the decision maker, who has to decide on the same day. 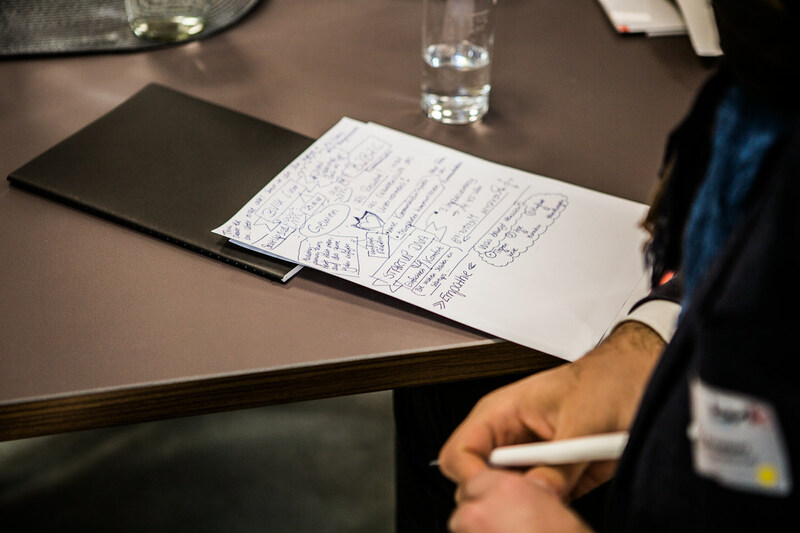 A storyboard will then be created from the winning outline so that a prototype, click dummy or interactive presentation can be created on day four. The prototype is presented on day five to real customers to get direct user feedback. “Many of our clients experience true amazement at their first design sprints, because after just a few days they not only have a concrete product in their hands, they also get good and measurable results, and they know very quickly whether the customer wants this product at all or how to do it even better”, Feit described. Developing products and services that the customer really needs - companies always succeed in doing this best when they (really) understand their customers. “Start-ups and digital products always have a focus: people, meaning the customers, and their needs”, explained Marco Fischer, Managing Director of die firma. “Anyone who wants to develop products close to the customer must be empathetic: towards the customer and towards themselves!”, says Fischer. Helpful methods, provided they are used correctly, are numerous and well-known: personas, empathy mapping and customer journeys, to name but a few. “The true strengths of start-ups lie in two essential things: simplicity and convenience. And these only emerge when there is empathy for real customer needs, which often lurk hidden beneath the surface. Therefore, when creating target group profiles and analysing movement patterns, one should always question one’s own assumptions, either through interviews, observations or data-supported evaluations. Combined with an understandable self-image of the company and its attitude - the why, meaning its drive and its vision, products, services and communications can be defined that provide credible and inspiring benefits and enable a strong brand positioning through subsequent recommendations by users to friends and like-minded people. So why do traditional companies fail, companies whose brands have been in existence for a long time, companies that manufacture products that are in demand, use the latest technologies and methods and value their employees? They cannot be that wrong when it comes to the target groups and their organisation cannot be that bad, especially since constant, sometimes even exponential growth has accompanied the company’s development since its founding. The answer could be a lack of consistency, if you take a closer look at a positive counterexample like Viessmann, a heating system manufacturer. 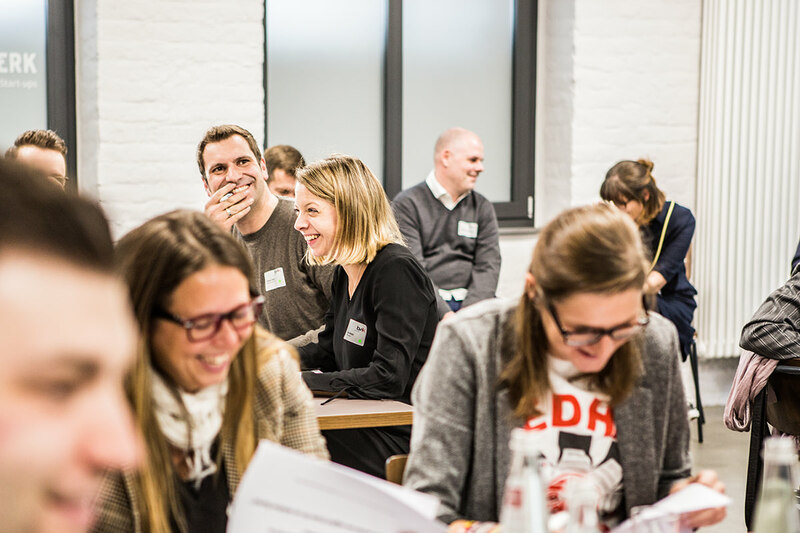 Max Viessmann makes this clear in an interview with the start-up blog Gründerzsene.de: “It is not so much the fear of mistakes as it is the rigid structures that have been created over decades that prevent employees from thinking more freely”, says the junior executive. He began the digital transformation in a correspondingly radical manner, but also with a lot of openness and a true ability to accept criticism. Investment in the future in the form of two venture capital firms was equally consistent, because Viessman wants to help shape the living environment of the future generation. And this has a lot to do with climate change and increasing urbanisation, in addition to digitisation. Max Viessmann is convinced that this raises many questions for building services engineering, which can be answered with both the technical knowledge from the company’s more than 100-year history and innovative ideas from start-ups. Digital transformation must therefore be viewed in its entirety and be based on human interfaces, because it is first and foremost a cultural challenge. Digital culture requires not only software, it also requires time and commitment to enable businesses to benefit and to position themselves for the future. Modify internal communication towards networking and transparency. Bring your employees on board and be an example yourself. Establish digital tools and use agile methods to support true interdepartmental collaboration. Focus on your customers and their experiences and develop empathy, to achieve more customer satisfaction at all levels and smart services. Start with people, not technical problem-solving: Test things and develop your products around hidden needs. Successively replace old business models, start pilot projects and iterate them step by step. If you are interested to know more about the topics or have any questions, please do not hesitate to contact us by e-mail kontakt(at)diefirma.de or call us at +49 (0)611 . 238 50 10.